It is hard to believe that I am now in my 10th year as the Rossford High School Principal and this year will bring on some new challenges as we prepare for the new high school. Beginning with the 2018-2019 school year, Rossford High School will be located on the campus of Owens Community College for approximately 18 months. The space that is being provided will accommodate all of our education programs and will include dedicated classrooms and restrooms, a main office, gym space, and a cafeteria. In addition, our athletic and drama departments will be using Owens facilities to host many of their activities. The district’s plan is to move us back to our downtown location during the 2019-2020 winter break. My education background includes being a graduate of Swanton High School, receiving an undergraduate degree in secondary education and a Master’s Degree in Educational Administration and Supervision, both from the University of Toledo. My administrative experience includes five years with the Ohio Department of Youth Services and seven years with Toledo Public Schools which included four years as the principal of Rogers High School. On the personal side, my wife Theresa and I have two children, Gavin (24) who currently resides in Asheville, NC, and Cassidy (22) who is a Licensed Social Worker currently employed in Columbus, OH. My wife and I also have a new dog (Maggie) who makes our empty nest feel a little less empty. In my spare time, I enjoy golfing and spending time with friends and family. I am also an avid Notre Dame fan and my wife and I try to attend as many home games as possible each fall. If you should ever have a need to reach me, please call the school office at 419-666-5262 ext. 6, or email me at tbrashear@rossfordschools.org. Pat Murtha has been in the field of education for 21 years. 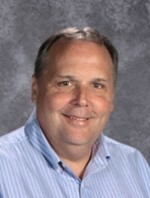 Mr. Murtha began his career in education as a high school social studies teacher. He earned his bachelor’s degree from Marshall University, and his Masters in Administration from Ashland University. 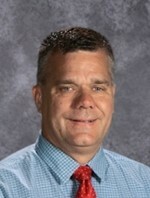 This is Mr. Murtha’s 11th year as the Rossford High School Assistant Principal and third year as Assistant Principal/Athletic Director. Pat and his family reside in Rossford. Mr. Murtha welcomes calls or e-mails from parents, students and community members. He can be reached at 419-666-5262 or email him at pmurtha@rossfordschools.org.